People living in parts of Cornwall could soon have no access to a minor injury unit (MIU) at night. North and East Cornwall Primary Care Trust wants to close the MIUs between 2200 and 0800 BST. The closures would be at hospitals in Bodmin, Liskeard, Launceston, Stratton and Saltash. The trust has claimed the number of people using the units at night is very low and it needs to ensure services are delivered where they are needed most. Last year the MIU at St Barnabas in Saltash was closed because of a lack of trained staff. At the time, the trust said while St Barnabas was closed patients could go to Liskeard. But Baz Gregory, the portfolio holder for health at Caradon District Council, said people are very concerned that Liskeard and others are now under threat too. He told BBC News:"The pressure on Truro and the pressure on Derriford in Plymouth will be horrendous. "We should be looking after patients who need treatment, whether it be one or whether it be 200. Whatever the figure, there should be an emergency service at night." Mr Gregory said any decision should be deferred until October to allow consultation with the public, patients and staff. The MIU at St Austell has also been closed for the past year and plans are being considered to do the same in Newquay. Local GP Dr Andy Stewart said if the proposed closures go ahead there would be no MIU night cover between the Royal Cornwall Hospital in Truro and Derriford Hospital in Plymouth. He said: "It concerns me because there's a particularly vulnerable group of patients to whom these hospitals provide a life-saving service." Dr Stewart said asthmatics could face an additional journey of between 30 minutes to an hour. 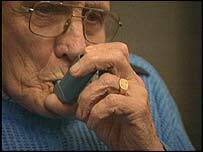 "Frankly that could be half an hour too long if you're having a serious asthma attack", he said. But the PCT said regular monitoring of the MIUs showed only one or two patents were seen each night and a majority of them were either referred to the out-of-hours GP service or accident and emergency units at hospitals in Plymouth, Truro or Barnstaple.